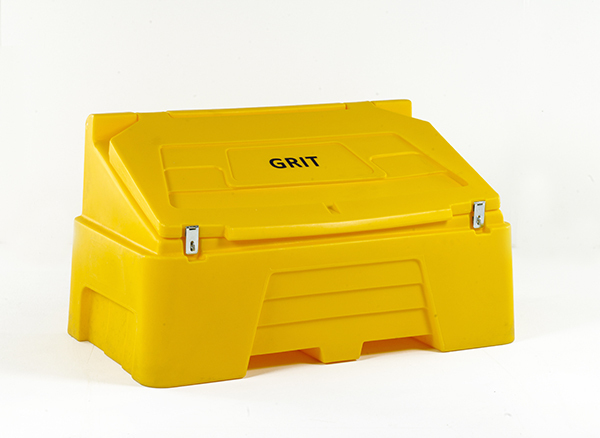 Heavy-duty, weatherproof commercial and domestic bins in a number of sizes to safely store grit for adverse weather conditions. How well are you prepared for the cold winter weather? All facilities managers and health and safety officers for work environments should have a winter maintenance plan as an integral part of the organisation's policies and procedures. 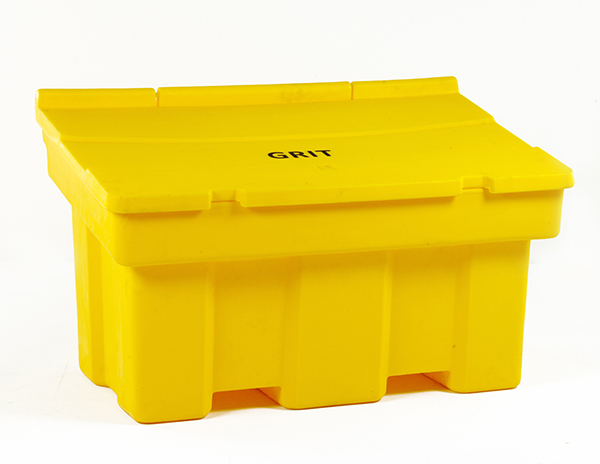 Preparing for winter both at home and at work is easy with Step and Stores plastic grit bins range. Ideal for storing sand and salt rock, the iconic yellow UV bins are weatherproof to not discolour when exposed to the elements. Our salt bins are capable of holding large volumes, and can easily keep your premises clear of ice, no matter its size. For guidance on how you can create a winter risk management plan, click here to download the Winter Weather Checklist from the "British Institute of Facilities Management".